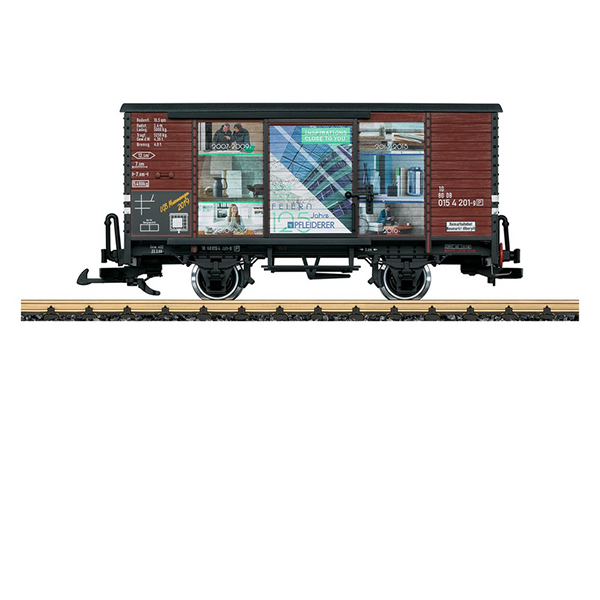 Product: This is a model of a two-axle boxcar painted and lettered as a privately owned car for the firm Pfleiderer in Neumarkt in the Upper Palatinate. The paint scheme and lettering are correct for Era IV. The side doors can be opened. The car has metal wheel sets. Length over the buffers 30 cm / 11-13/16". One-time series in 2019. Only available at the Märklin flagship store in Göppingen.